Situated in the popular historic town of St Rémy de Provence we are 20 mins from both the A7 and the A54 autoroute. For those preferring to travel by train Eurostar can be an extremely relaxing way of travelling down to Provence. 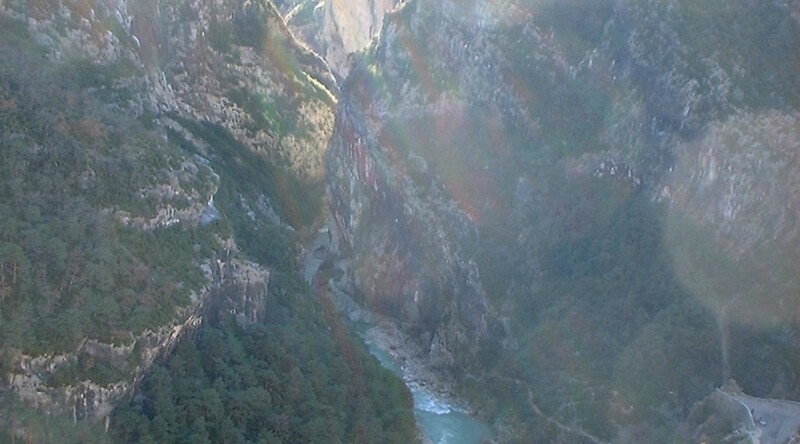 The Avignon TGV station is only 20 minutes away from St Rémy. The airports of Avignon, Marseille, Nimes and Montpellier are all within easy access. 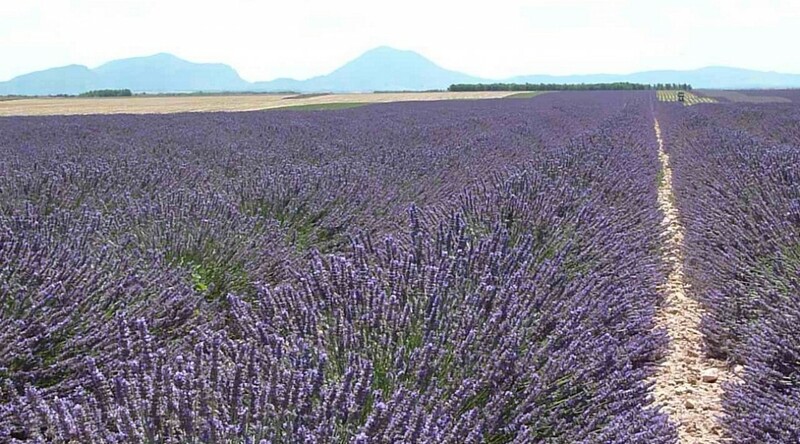 Ryan Air, Easy Jet, British Airways and FlyBe all have regular flights to Provence. Flights to Marseille and Nimes operate throughout the year. Avignon and Montpellier are run on a summer service. We can arrange a pick up service from train stations and airports . Ask for a quote. At Noves take direction St Rémy. Continue straight on over the next 4 roundabouts ,following directions for Beaucaire /Tarascon, At the roundabout just after the Intermarché petrol station ( on your right) turn right. Classic Bike Esprit is 200m from the roundabout, opposite you, just on the bend. Approach from the south, exit 26 Senas. At the approach to St Rémy continue following dir Cavaillon (do NOT take centre ville) . At the first roundabout turn to your left. Classic Bike Esprit is 200m from the roundabout, opposite you, just on the bend. 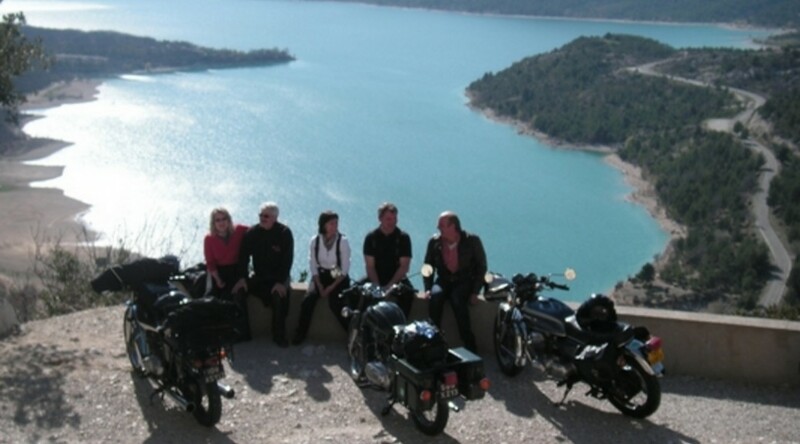 Fill in the form below, call us or send an email to info@cbesprit.com for any information on our Classic Bike Tours. 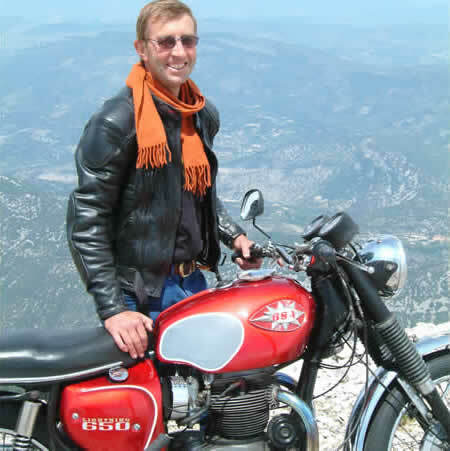 Classic Bike Esprit motorcycle tours are guided by a ‘Brit’ living locally with over 40 years experience with these fabulous bikes… and there is no better way to explore the region than on a classic British bike!